Would you like to treat your family or friends to a 2D1N villa stay at Banyu Biru Villas on Bintan Island? Bintan Resorts is sponsoring this holiday for four persons (inclusive of ferry tickets) worth S$750 for readers of Camemberu.com. Check out my previous post on Banyu Biru to see what the villas are like, and what other features and facilities they have at Nirwana Gardens. I'm also going to post about two restaurants there (Spices and The Kelong) that you can try. 3. Tell us what you would do if you were holidaying in Bintan. "If I were in Bintan, I would...". Email answer to promotions@bintan-resorts.com with name, date of birth & contact number. The winner will be chosen by Bintan Resorts, based on most creative answer. So have a bit of fun coming up with your dream answer. Closing date is 30 June 2011. 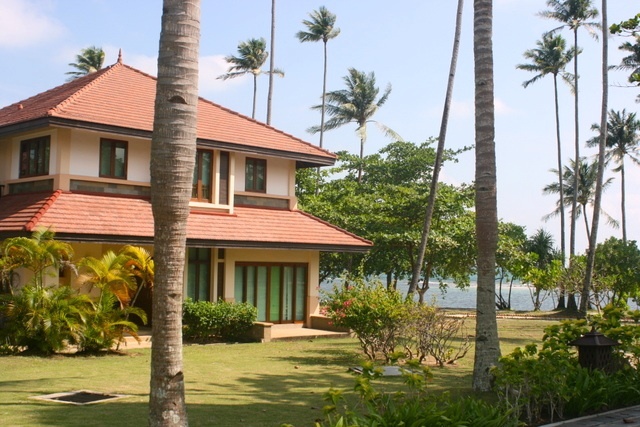 A 2D1N weekday stay for four persons at a Banyu Biru Villa, including return ferry tickets to Bintan. The holiday is valid for 3 months from 1 July 2011 onwards. The winner will be contacted by email. Many thanks to Bintan Resorts for making this wonderful contest possible! Very nice contest Cat. Joined and hope to win. Thank you. You're welcome, David! :) Good luck for the contest! Thanks for the post. I have been stalking your blog daily for this contest after u mentioned it earlier. Just submitted my entry. Keep the posts coming (and contest)! And at the same time if you do not mind I add your blog link into my blog under 'Food Blogs'. if u mind, do let me know i will remove the link.